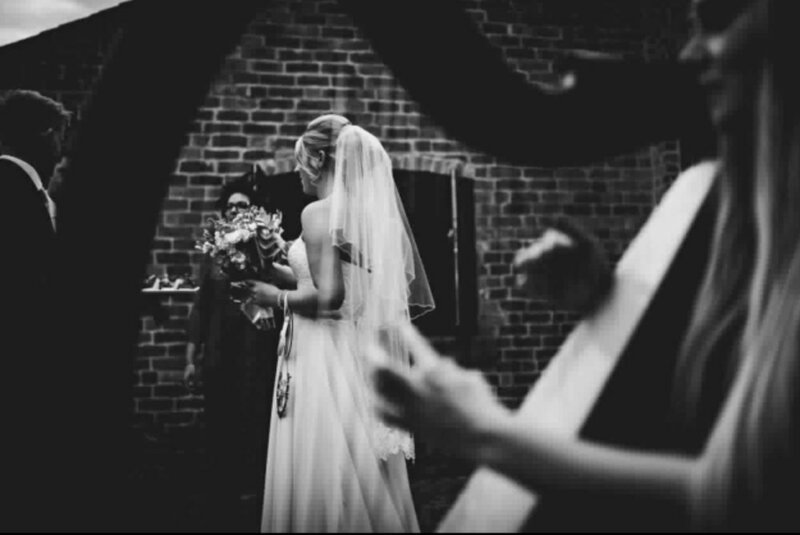 Amy was married at the stylish wedding venue Swancar Farm in Nottinghamshire. Her look was of simple elegance and no fuss and that is exactly what she achieved. She chose the Sari dress from the Wendy Makin Ready to Wear collection. This strapless dress with a neatly fitted lace bodice a draping georgette skirting is timeless. Amy's veil came from Richard Designs and complimented her dress perfectly.